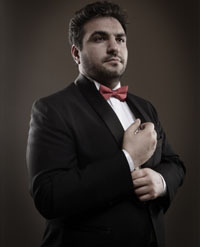 The young Armenian Tenor, critically acclaimed as “the whole package of a true dramatic tenor”, “outstanding Don Carlo”, has often performed under the baton of Maestro Valery Gergiev, and had the pleasure to work frequently with such legends as Maria Guleghina, Anna Netrebko, Olga Borodina, Ekaterina Semenchuk, Hui He, and many others. Hovhannes Ayvazyan performed Mozart’s Requiem at the Musikverein in Vienna, an Opera Gala at Geneva’s Victoria Hall, various performances at the Yerevan Opera House as Canio, Turiddu, Don Jose, Radames and Pinkerton, as well as many title roles at the Mariinsky Theatre including Don Carlo, Manrico and Cavaradossi. 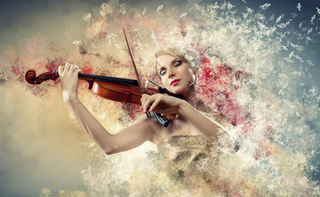 He was on tour with the Berliner Symphoniker under Maestro Lior Shambadal for which he received outstanding reviews and performed Don Jose in Carmen with the Moscow State Opera at the BGE Theatre in Dublin. In the Summer of 2017 he successfully performed Manrico in Il Trovatore under the Baton of Placido Domingo at the Mariinsky Theatre. He also made a critically acclaimed stage debut as Radames opposite Hui He at Arena di Verona. In November he made a terrific role debut as Don Alvaro in the Mariinsky original Version of Verdi’s La Forza del Destino as well as Canio in Pagliacci. In October 2018 he had another triumphant debut as Andrea Chenier at Teatro Massimo Bellini in Catania. Some future debuts include Herman in Pique Dame, Riccardo in Un Ballo in Maschera and Calaf in Turandot at the Mariinsky Theatre, as well as a Stage debut at the Opera Frankfurt as Don Alvaro in La Forza del Destino.